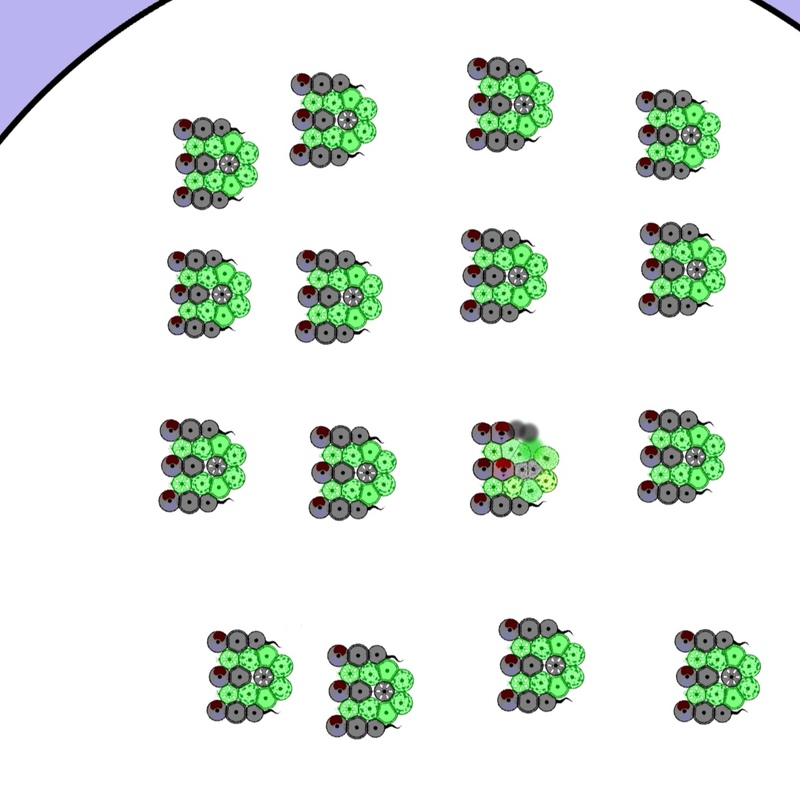 I made an autodestructing system on my battleships: when a trigger cell loses its max adhesin connections splits and starts the domino effect of splitting. Now all the cells splits in M13 (Sc-HCN). Eliminate a cell with the tool and watch. Re: Entanglement? How is it possible? did you set the max number of cells? 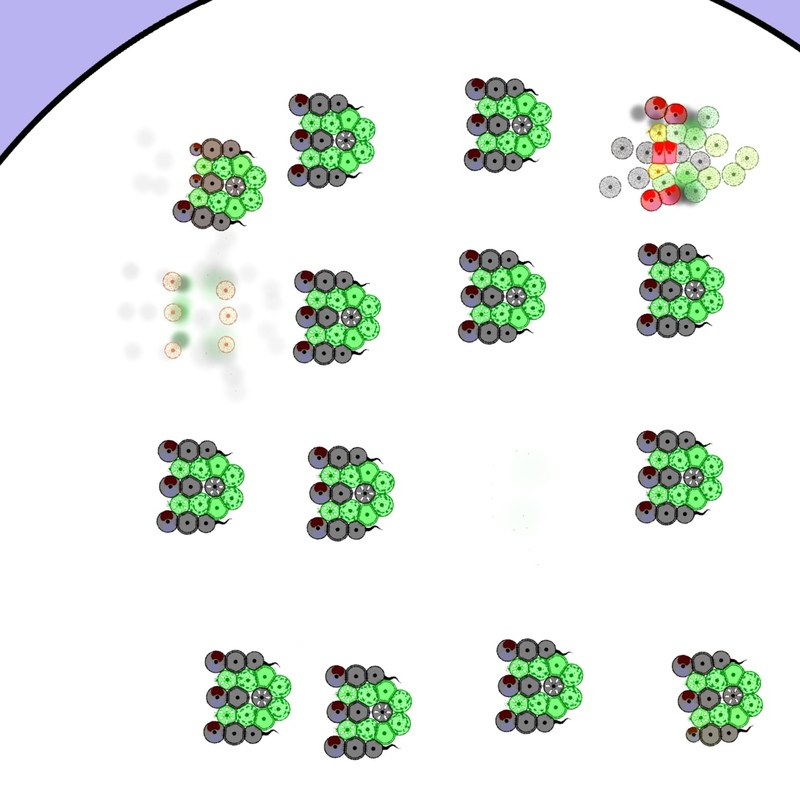 Making some troubleshooting I've isolated the bug in a 3 celled organism, the bug is something about the keratinocyte max adhesin connection value, because it splits even if the max adhesins are satisfied.